To read the title 'Count' conjures images of the Muppets Count Dracula. 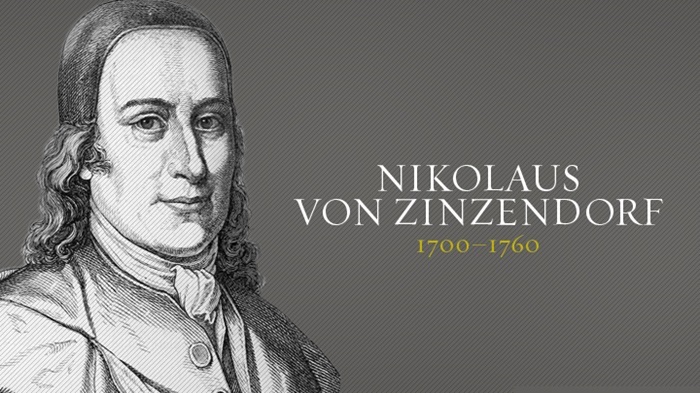 Yet, Nikolaus Ludwig von Zinzendorf (1700-1760) does not fit such a caricature. Mission and not Muppets were at his heart. Zinzendorf is a curious addition to conclude this series with, for he first sought communal living as a conduit of of Christian faith. He traveled extensively and is fondly recorded as 'The Pilgrim Count'. As with Hudson Taylor, Charles Studd, and James Fraser he was born into privilege. Raised in Austrian nobility by his grandmother - he measured such a life as not for himself. Ludwig's words were not empty dalliances of his soul. He lived them, and they still live this day. 1. Preach the gospel, die and be forgotten. 2. Only atheists attempt to comprehend God with their mind. 3. I have one passion, it is He. Only He. 4. I am destined to proclaim the message, unmindful of personal consequences to myself. 5. Missions, after all, is simply this: Every heart with Christ is a missionary, every heart without Christ is a mission field. 6. The world is the field and the field is the world; and henceforth that country shall be my home where I can be most used in winning souls for Christ. 7. There can be no Christianity without community. 8. I have been bought at a price. I will live every moment of this day so that the Great Purchaser of my soul will receive the full reward of His suffering. Burdened to reach the American native Indians he moved to America and there laid down his honors and title. In his later years he met much opposition, deep sifting and persistent trials. On May 9, 1760 Ludwig met his Lord, overcome from his work. He had lost his first wife in 1756, and his second wife of only three years died a mere twelve days after him. A man restless to 'reward' his Lord.